Judeo-Malayalam is the traditional language of the Cochin Jews (also called Malabar Jews), from Kerala, in southern India, spoken today by a few dozens of people in Israel and by probably fewer than 25 in India. Since it does not differ substantially in grammar or syntax from other colloquial Malayalam dialects, it is not considered by many linguists to be a language in its own right, but a dialect, or simply a language variation. Judeo-Malayalam shares with other Jewish languages like Ladino, Judeo-Arabic and Yiddish, common traits and features. For example, verbatim translations from Hebrew to Malayalam, archaic features of Old Malayalam, Hebrew components agglutinated to Dravidian verb and noun formations and special idiomatic usages based on its Hebrew loanwords. Due to the lack of long-term scholarship on this language variation, there is no separate designation for the language (if it can be so considered), for it to have its own language code (see also SIL and ISO 639). 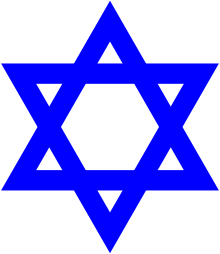 Unlike many Jewish languages, Judeo-Malayalam is not written using the Hebrew alphabet. It does, however, like most Jewish languages, contain a large number of Hebrew loanwords, which are regularly transliterated, as much as possible, using the Malayalam script. Like many other Jewish languages, Judeo-Malayalam also contains a number of lexical, phonological and syntactic archaisms, in this case, from the days before Malayalam became fully distinguished from Tamil. In spite of claims by some Paradesi Jews that their ancestors' Ladino influenced the development of Judeo-Malayalam, so far no such influence, not even on the superficial lexical level, is found. There is, however, affiliation with Mappila Malayalam, especially of North Malabar, in words such as khabar or khabura (grave), and formations such as mayyatt āyi (മയ്യത്ത് ആയി) used by Muslims and śalōṃ āyi (ശലോം ആയി) used by Jews for died (മരിച്ചു പോയി, mariccu pōyi in standard Malayalam). As with the parent language, Judeo-Malayalam also contains loanwords from Sanskrit, Ladino, and Pali, as a result of the long-term affiliation of Malayalam, like all the other Dravidian languages, with Pali and Sanskrit through sacred and secular Buddhist and Hindu texts. Because the vast majority of scholarship regarding the Cochin Jews has concentrated on the ethnographic accounts in English provided by Paradesi Jews (sometimes also called White Jews), who immigrated to Kerala from Europe in the sixteenth century and later, the study of the status and role of Judeo-Malayalam has suffered neglect. Since their emigration to Israel, Cochin Jewish immigrants have participated in documenting and studying the last speakers of Judeo-Malayalam, mostly in Israel. In 2009, a documentation project was launched under the auspices of the Ben-Zvi Institute in Jerusalem. Digital copies can be obtained for any scholar who wishes to study Judeo-Malayalam. ↑ Gamliel, Ophira (2009). Jewish Malayalam - Womens's Songs (PDF) (Thesis). Hebrew University.